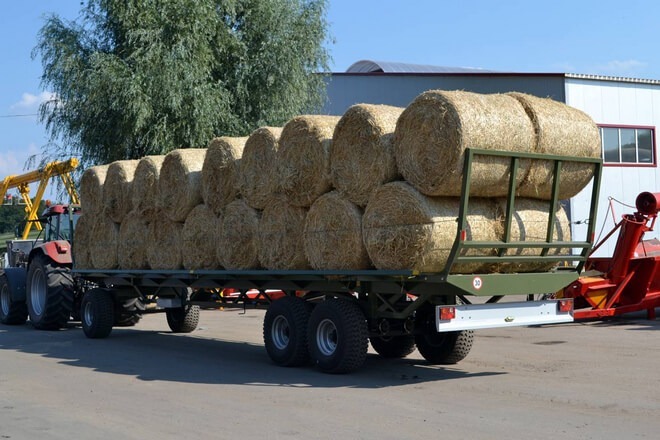 The Zavod Kobzarenka self-unloading bale trailer has been developed to be efficient, economical and comfortable. 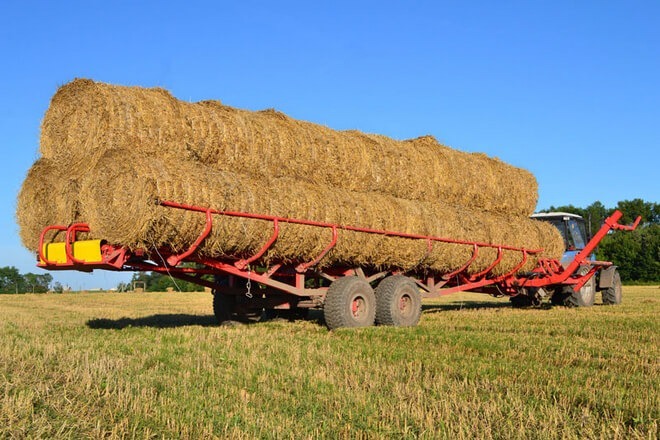 The self-unloading trailer does not require any other machine to be attached to the tractor to retrieve bales from the field - the entrepreneur saves on the workforce, fuel and machinery costs. 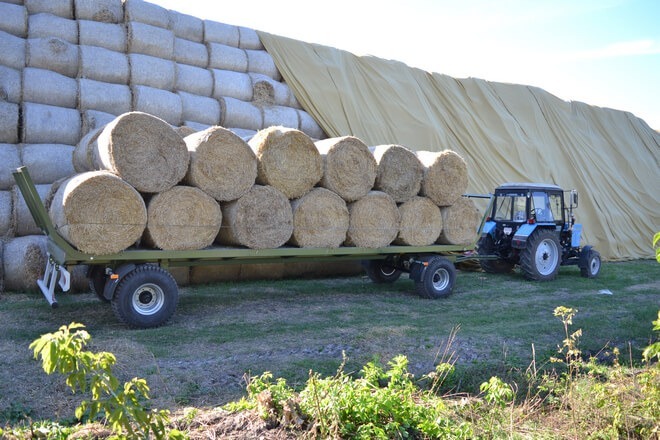 Using the lifting device on the side of the trailer, bales weighing up to 600kg with a diameter of 1.2 to 1.8 meters can be conveniently loaded onto the trailer, where a moving panel pushes the bales forward without breakign the bales and makes room for new bales. The trailer has a capacity of up to 1000 rolls per day. 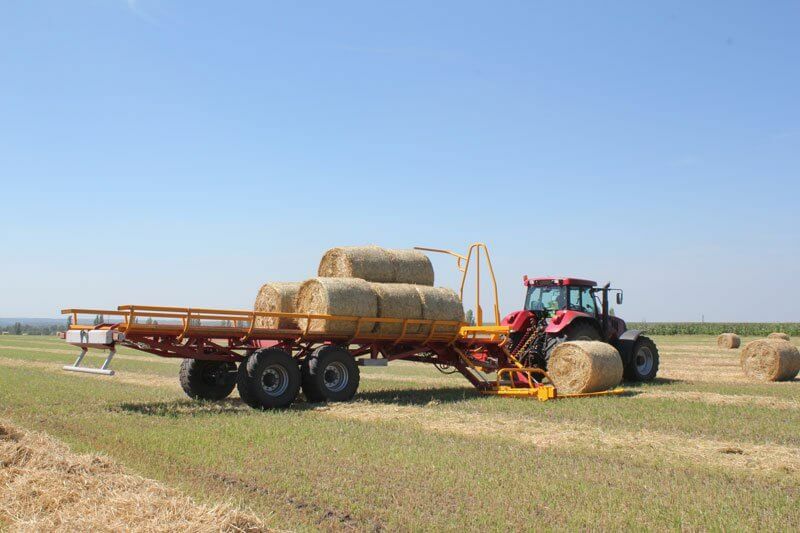 Flatbed trailers are somewhat more versatile than bale trailers. Load straps on the sides of the trailer and the platform extensions are detachable, which allows the trailer to also be used conveniently for the transport of boxes, for example. The platforms of both models can be extended by 3 meters. The factory can also make the platform shorter than the standard length if necessary.